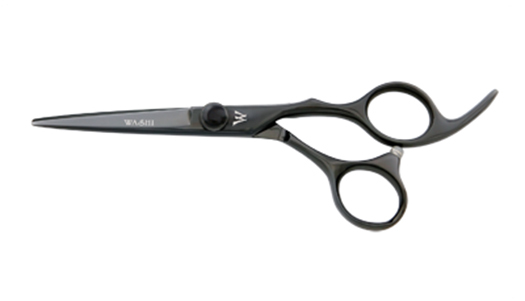 The "Black Dragon" hair shear features an offset handle designed to open the hand. This style creates a wider grip to give you better control. Features include Anti-push edgework that eliminates hair slide and allows for a superior hair cutting experience. Shear Size: 5.0", 5.5", 6.0", or 7.0"